Lincoln is bringing back its iconic "coach doors." 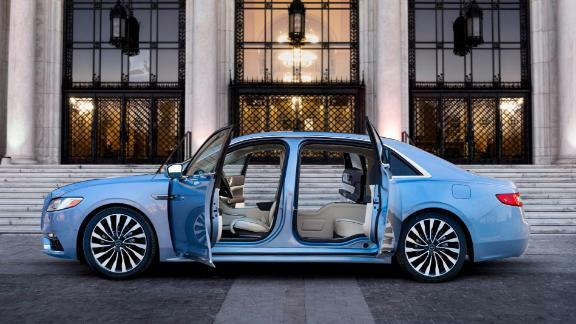 Lincoln is bringing back its iconic "coach doors." A special limited-edition version of the big Lincoln Continental will have back doors that are hinged at the rear rather than the front. The feature presented some engineering challenges, but backward-opening doors are something Lincoln designers have long wanted to include on a car, design director David Woodhouse said. The doors are closely associated with one of the brand's best-remembered models, the 1960s Lincoln Continental. "The 1961 Lincoln was truly a landmark car in an era of a lot of really significant styling changes," said John Kraman, a classic car market analyst with Mecum Auctions. "It really reset the bar." Adam Genei, owner of the Detroit car customizing shop Mobsteel (motto: "Rides to die for") said the coach door Continental is one of his favorite starting points for the company's appealingly menacing creations. "I think it's a great car and, always, if you take a Lincoln anywhere, you can put any other car in the world against it. 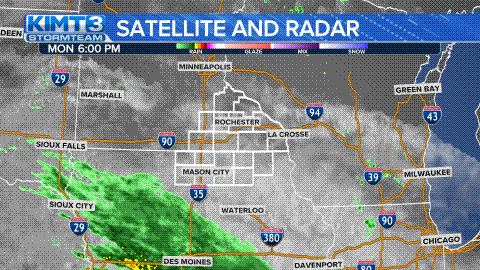 People just seem to be drawn to it," he said. "It's just a very cool, unique vehicle." Originally, the reason for the rear-hinged back doors was corporate cost savings. Timeless style was just a pleasant side effect. Ford, Lincoln's parent company, dictated that the Continental share much of its engineering with the two-door Ford Thunderbird so the two models could be built on the same assembly line. That meant keeping the Continental's body as short as possible. While the '61 Continental is huge by today's standards, designers thought it was too short for backseat passengers to exit gracefully with traditional doors. Rear-hinged doors were the solution. Passengers could stretch their legs out and stand up and out without having to immediately get around the door. On modern cars, they're most commonly seen on Rolls-Royces. The British ultra-luxury brand has them on all its models. Of course, being "most commonly seen" on Rolls-Royces means they are not commonly seen at all. The Continental helped keep Lincoln alive back then. Ford had reportedly considered killing the brand. Even so, it was not a major sales success. General Motors' Cadillac continued to handily outsell Lincoln, said Kraman. But it's the Continental, with its clean lines and those fancy doors, that stands out today. The Continental faded into irrelevance and the name was finally dropped from the Lincoln lineup altogether in 2002. It returned in 2016 on an all new sedan which borrows some of the '60s models' styling and proportions. It is 11 inches shorter than the '60s car but, these days, it's hardly considered small. The new limited edition coach door version is six inches longer than the base model car. Lincoln had been considering an extended-wheelbase Continental, anyway, said Robert Parker, head of marketing for the brand. The extra length allowed for the coach doors, Woodhouse said, because it opened space behind the doors for a widely separated set of door hinges. The new coach door Continental was created to celebrate the 80th anniversary of the very first Lincoln Continental. Henry Ford's son, Edsel, commissioned it as a single car built just for his own use in 1939. When wealthy friends said they wanted one, too, it went into production. The 1961 model, an entirely different car from Edsel's, was the fourth generation of the Continental. Only 80 of the 80th anniversary Continentals are being built at a price that is expected to be over $100,000 each. A limited number of additional coach door Continentals will also be made available in the 2020 model year. Customers will be able to order the cars immediately and the first ones will be delivered to customers in the summer. Ford is not, however, closing the door on making more "coach door" Continentals if there is enough demand.